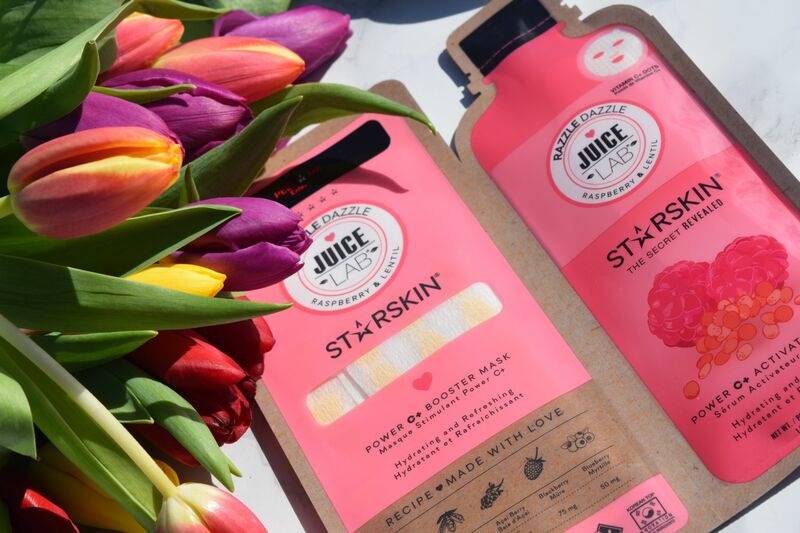 I’m not sure if there is anything which can make you feel healthier than enjoying a cold-pressed juice, and obviously Starskin are also fans. 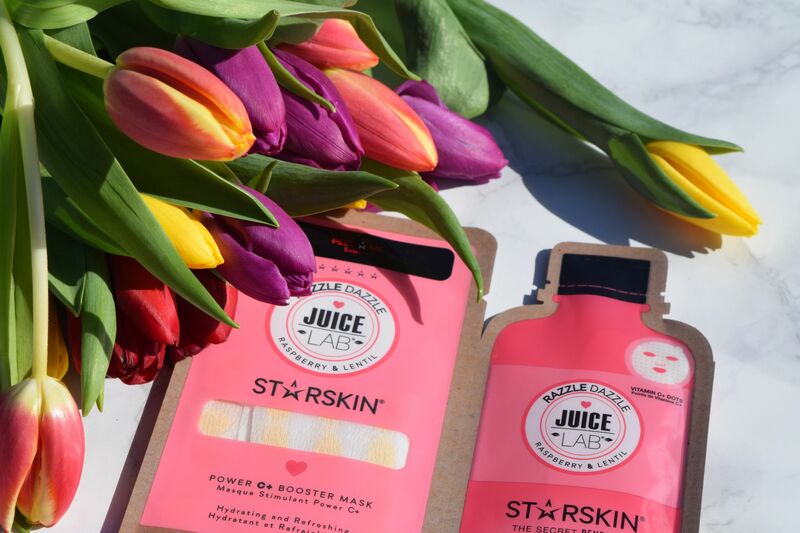 Their new Juice Labs skin masks are inspired by the goodness of the drinks, and they’re perfect for getting skin summer ready. Designed to hydrate and refresh skin, the Razzle Dazzle mask feels like a sheet mask with the volume turned up. 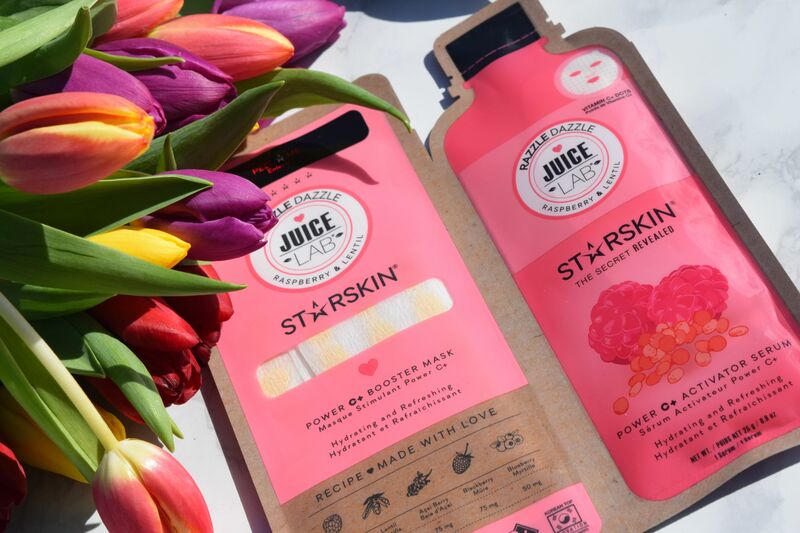 The sheet itself is infused with pure 75% Vitamin C which has been flash freeze-dried to maximise its skin rejuvenation, glow-inducing and anti-aging properties To use, just fill the mask sachet with the contents of the activator sachet, then apply to cleansed skin as normal. The mix of the activator serum with the freeze dried Vitamin C makes this a seriously effective treatment. In fact, along with retinol, Vitamin C is one of the few proven anti-ageing skincare ingredients (it encourages collagen production), which can improve visible signs of sun damage and scarring, as well as being antioxidant, so it’s perfect before a big event when you want to glow.